On September 14th, the hubs and I celebrated our 30th wedding anniversary. We usually just go low-key and go out to dinner to celebrate, but we decided to celebrate a little bigger this year by going on a cruise. We’ve been cruising regularly for about 15 years, all over the Caribbean. 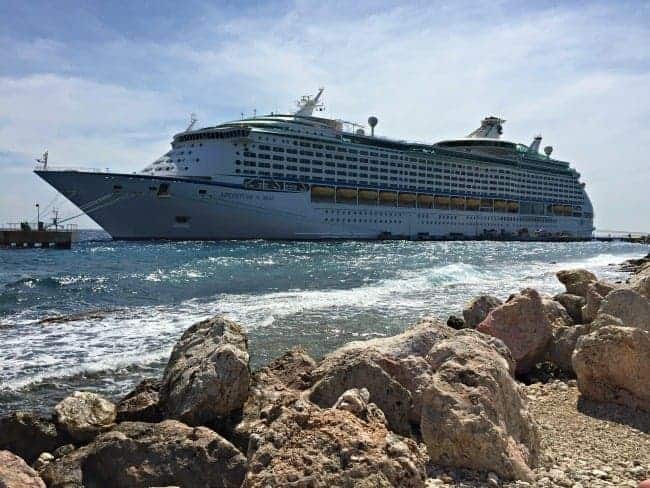 The cruise we chose this time was with Royal Caribbean, on the Adventure of the Seas. 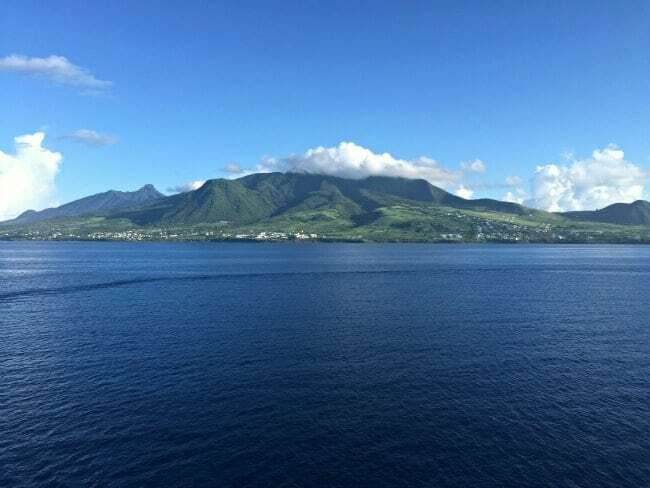 We wanted to visit ports that we’d never been to, so we decided on the Southern Caribbean route, which sailed from San Juan Puerto Rico and stopped in 4 ports, St. Thomas, St. Kitts, Aruba and Curacao, with 2 days cruising. We flew into San Juan a day before our ship sailed and stayed in a beautiful old B&B in Old San Juan. 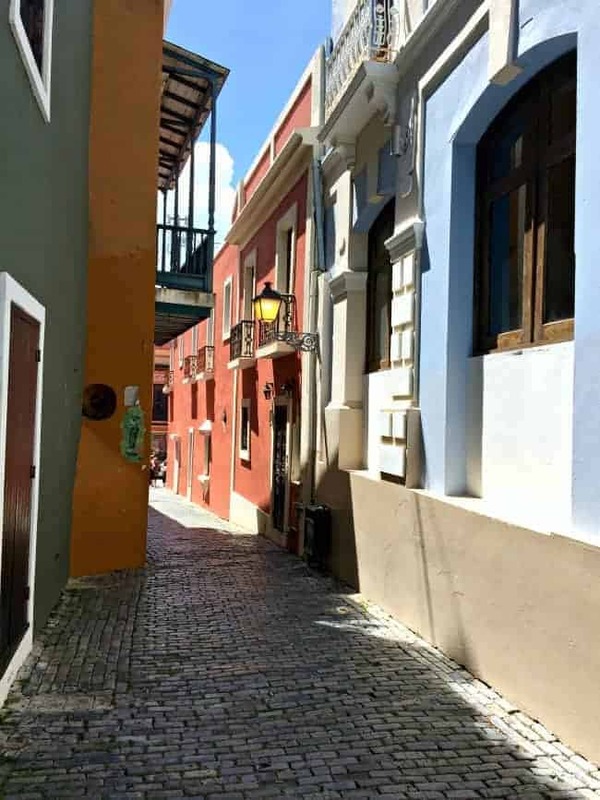 We sailed from San Juan once before but stayed away from town and didn’t get to see much, so I wanted to be able to explore Old San Juan this time around. We hit the ground running as soon as we dropped our bags at our home for the night and we had a great time exploring. It’s such a beautiful city with friendly locals and delicious food. I would love to go back and spend more time exploring, maybe even visit a few beaches. The following day was our sail day. Because we weren’t going to set sail until 8:30 that evening, we spent the morning wandering around the city and eating, lots of eating. Once we got on the ship, we went right to our cabin to drop our bags. 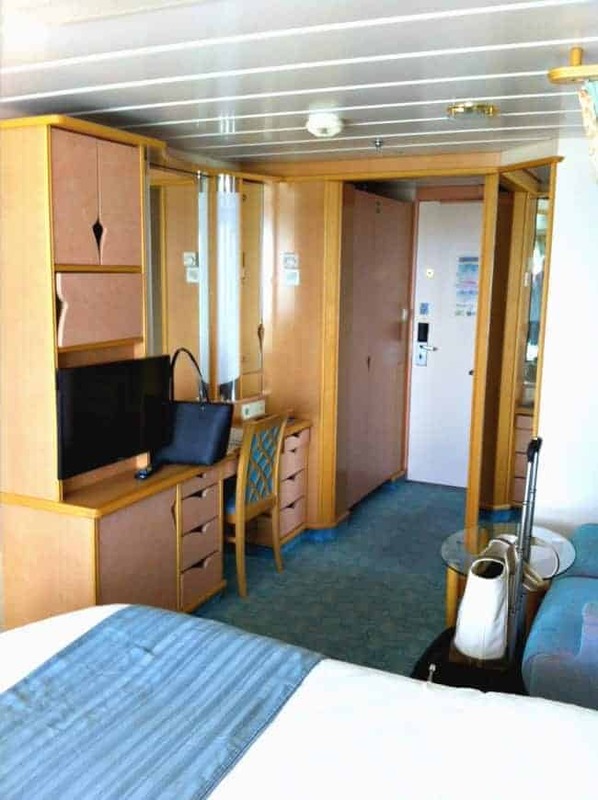 If you’ve never been on a cruise before, the cabins are really similar to a hotel room, but a lot smaller. This time around we booked a cabin with a balcony. An inside room is usually less expensive, but we splurged a little this time and stayed in a balcony room. We both love to stand out there and check out at the beautiful scenery as we pull into a port. The hubs took the cabin photos with his iPhone 4 and they aren’t the best. It’s not the best pic because of the window, but it gives you an idea of what the other half of the cabin looks like. 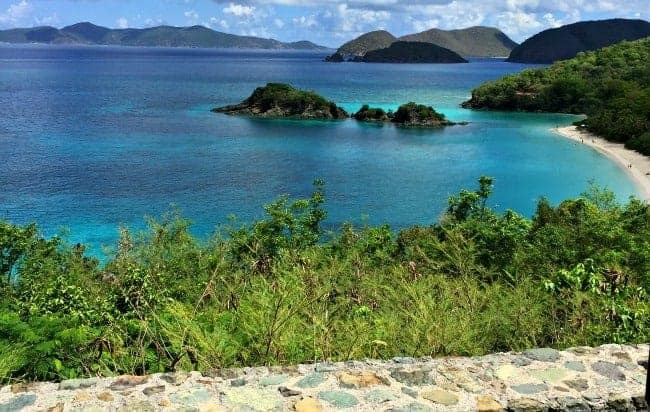 Our first stop was St. Thomas in the U.S Virgin Islands. 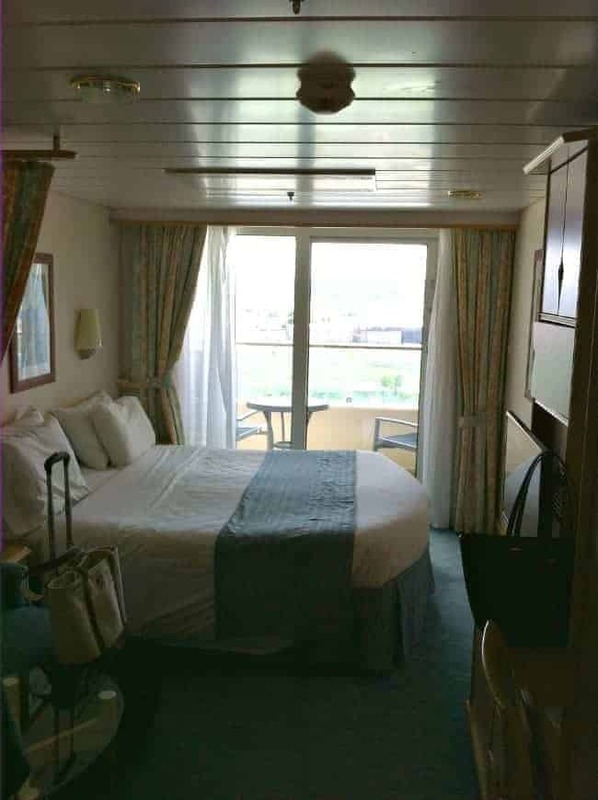 A lot of people book excursions to explore a port through the ship, but I always do our planning and booking with private companies before we go. It’s usually a lot cheaper than ship excursions and a lot less crowded. 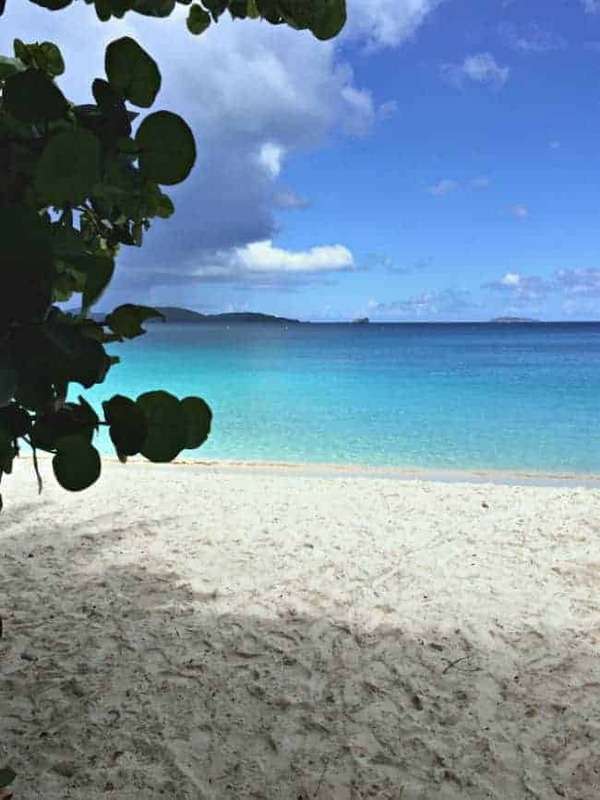 This time we took a ferry over to St. John to enjoy a beach day. I have to say that this was my favorite stop ever. I can’t even explain to you how beautiful the beach was, and the pictures don’t do it justice. The water was perfectly clear, and I was out up to my chin. I could even watch the fish follow me around. We were in a little cove so there were no waves and very few people. Let me just say that I spent 3 glorious hours in the water and the mister had to practically drag me out so we didn’t miss the ship. I will definitely be back, someday. 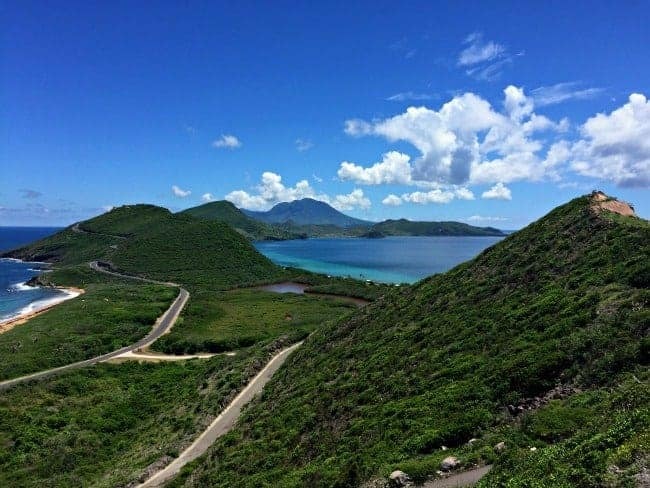 The next stop was St. Kitts, which has an inactive volcano and beautiful lush scenery. We took a 6 hour private tour with a local, which included everything from climbing on lava rock to snorkeling and some time at a small local beach. A great day but we were both exhausted when we got back to the ship (I even took a nap, and I never nap). 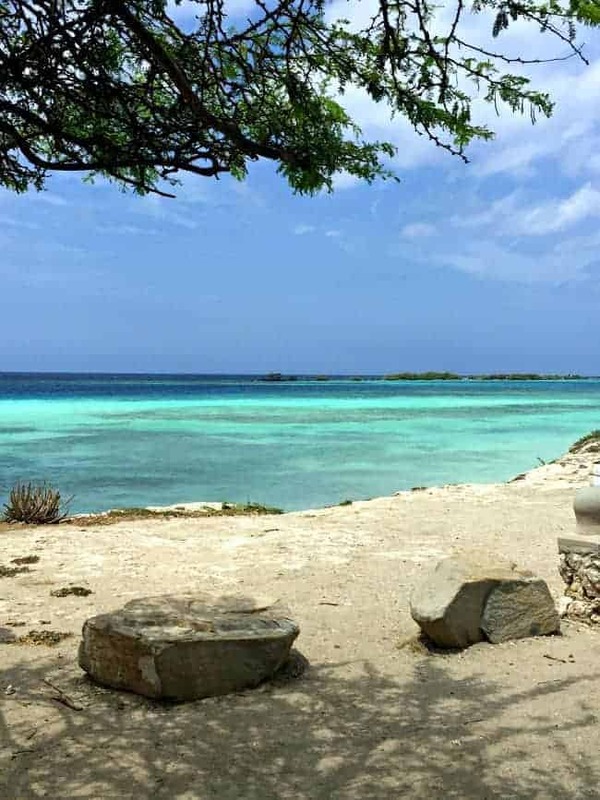 After a day at sea, we stopped in our next port, Aruba. This island was totally different from St. Kitts in that it was a desert, complete with cactus. Not a very pretty island but the beaches were absolutely beautiful. 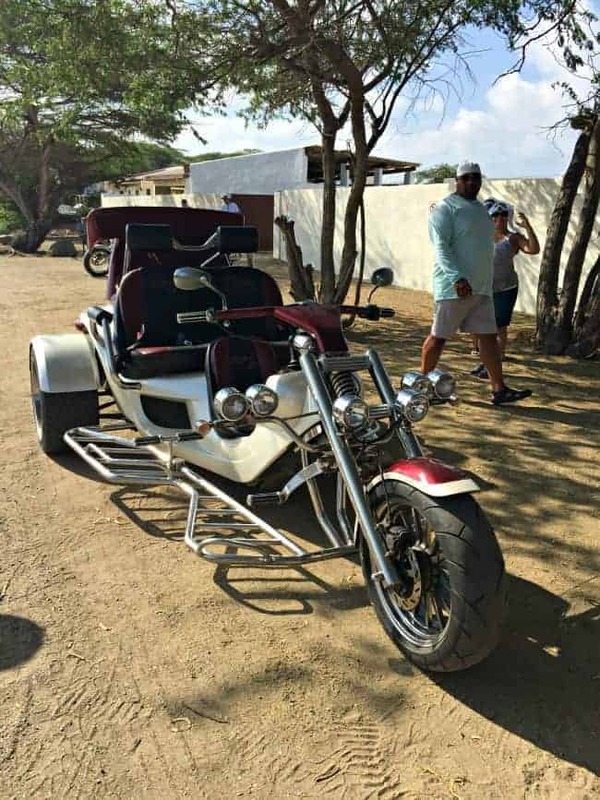 Although the scenery wasn’t particularly beautiful, we had a great time taking a tour of the island on 3 wheeled trikes. We had so much fun and I would highly recommend it. I was a little nervous about my back hurting but the trikes were actually very comfortable. 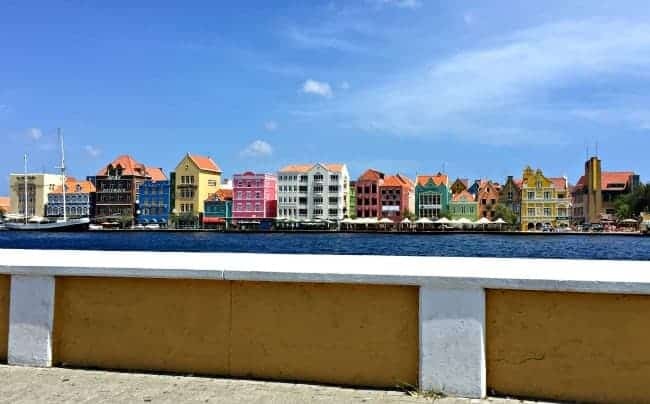 Our last port was in Curacao, which is 17 miles from Venezuela. This island was similar to Aruba in that it was a desert, and very hot, I think it was about 104 degrees on the day we were there. We rented a car to explore on our own that day and, although the signs that we saw (which were few and far between) were all in Dutch, we managed to find a beautiful beach. After we dropped our car off we explored the cute little town near the ship. Like I said, it was really hot and I wasn’t feeling well, so we ended up going back to the ship early. Our last day was spent at sea and we just hung out and relaxed (and ate a little too much). We had one last dinner with our new friends (we dined with the same people every night at the early seating) and packed our bags. We were up early the next morning to get our flight back to Chicago. By Sunday evening we had unpacked, done wash and opened all the week’s mail. It felt like we hadn’t even gone away. Do you ever feel that way after a vacation? Thanks for sticking with me through this long post and letting me reminisce about our cruise vacation. We had a great time and it was so nice to be able to spend time together and not think about work or the kitchen reno. I’m already looking forward to our next one. Hope you have a great weekend. We’ll be working on the kitchen backsplash (surprise, surprise). What do you have planned? Congratulations on your 30th anniversary. What a lovely place to go to and engoy your special time. Just right for this time of year. 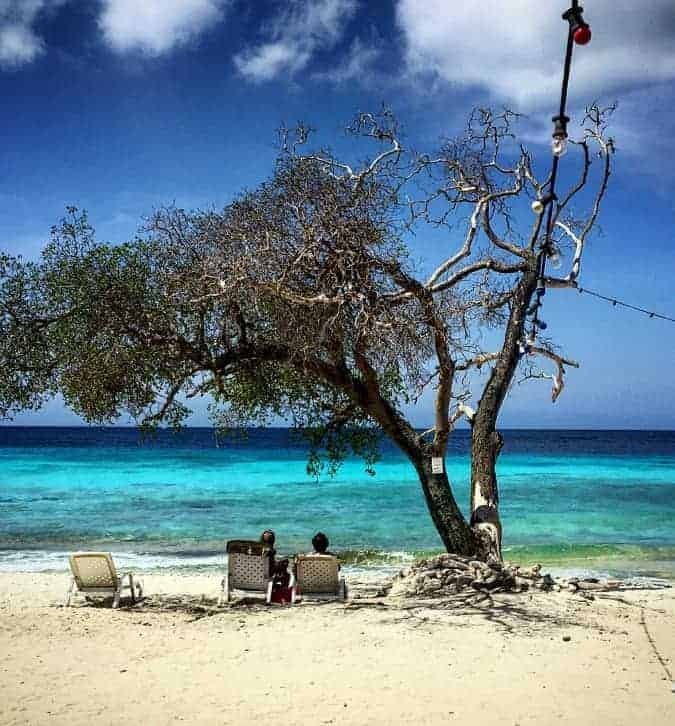 Your pictures are beautiful and capture the mood perfectly. It’s all gorgeous ….I can’t get over how deep of a blue every thing is…so pristine and beautiful! Thanks Deb! I don’t think my pictures do it justice. Mother nature is truly wondrous. Belated Happy Anniv! Never been to the South of Carribean, for sure that will be our next stop! Gorgeous photos! Awww, thanks Jessica. I’ve never been to Oregon but I’ve heard that the beaches are beautiful. I’m not a fan of cold ocean water though, no fun to swim in IMHO. Happy weekend! Wow. It looks like a lovely vacation. I am a fan of cruises as well. My favorite destination is Bermuda. I think it is just the most elegant island. 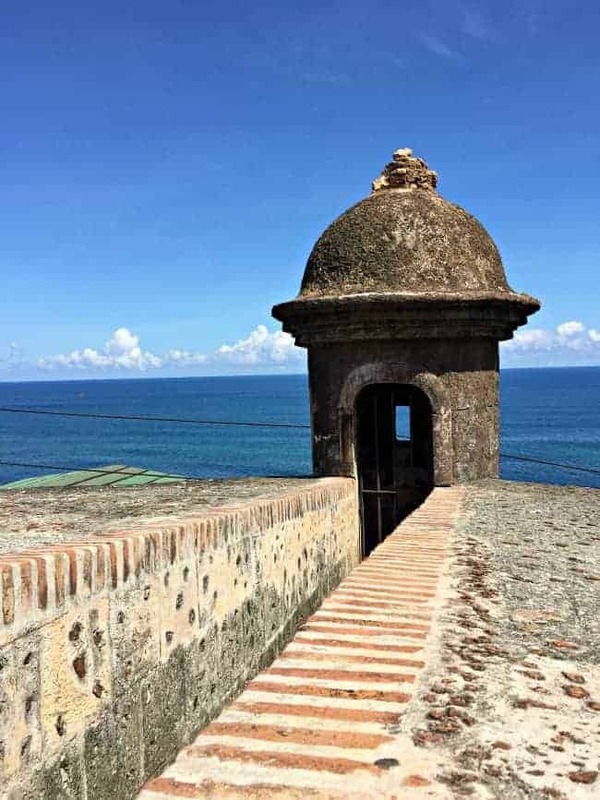 We honeymooned in Puerto Rico and so did my parents. We have two generations of the same photos…funny, huh? I’ve never been to Bermuda but I’ve heard that it’s lovely. So cool that you and your parents went to PR for your honeymoons. Maybe your girls will continue the tradition. 😉 It’s a great place to visit. Oh, I loved it. I felt like I went with you! I especially liked the last photo of the seaside village. Love the colored houses. So glad you had a wonderful cruise. 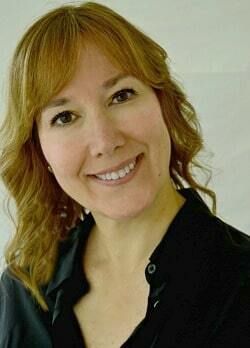 Thanks so much for the sweet comment Brenda, it totally made my day.